Sometimes bells and whistles can overcomplicate things. The Epson Workforce Pro WF-R5690DTWF dispenses with some ‘nice-to-haves’ to ensure it does four key functions incredibly well; printing, copying, scanning and faxing. 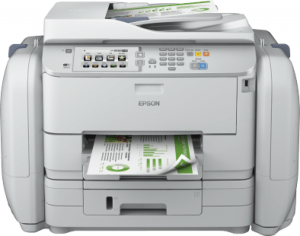 If your business has low to mid-level usage and you want a breakthrough printer that still benefits from Epson’s replaceable ink pack system (RIPS), the WF-R5690DTWF could be your ideal solution. To keep things simple and to help your staff carry on with their work, rather than spending time cursing the printer, the Epson WF-R5690DTWF makes things as easy as possible. It manages this whilst retaining the core ingredients that make a great business printer. Your business will benefit from fast printing, scanning, copying and faxing and the machine will easily integrate into any office environment. How does an easy-to-use touchscreen, which contributes to user-friendliness and enhanced security, sound? Even if you have staff who struggle with technology, they’ll find this system straight forward. What about a cost effective printer that still benefits from Epson’s RIPS solution (replaceable ink pack system) and therefore has super-high-yield ink supplies? That means it can go on for a whopping 75,000 pages in black or 50,000 in colour before your people need to concern themselves with replacing ink! Being easy to use doesn’t mean this printer is lacking when it comes to the main features any modern business would want from their printer. The 35 page document feeder makes larger jobs a breeze and, by delivering at a rate of 20 pages per minute, the WF-R5690DTWF is more than speedy enough to keep up the pace in a busy office. The machine also has WI-FI Direct capability which means it can be used to print from supported wireless devices without the need to be connected up to a router. Perfect for those who need to print whilst out and about. 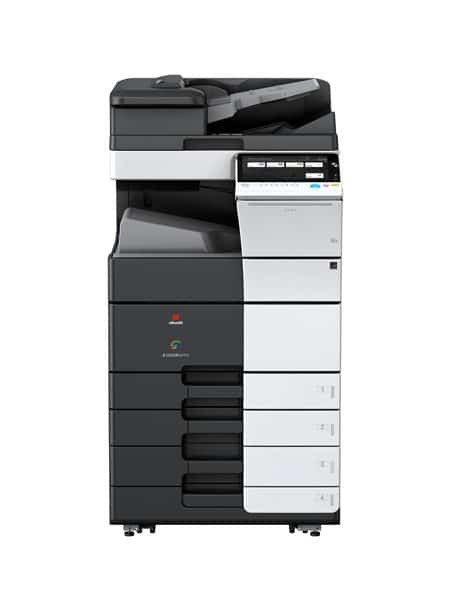 As if all of this isn’t enough to make a business fall in love with the Epson WF-R5690DTWF, then surely the overall efficiency of the machine will seal the deal. Firstly, it’s energy efficient, as you’d expect from a modern business inkjet printer. That means energy consumption is down by up to 95% compared to laser printers. Secondly, waste is reduced by up to 99% in comparison to laser printers, thanks to less consumables involved in the running and operation of the system. Thirdly, with DURABrite Ultra ink, pages dry supremely fast meaning more can be turned out in faster times. Like we said, efficient, efficient, efficient!